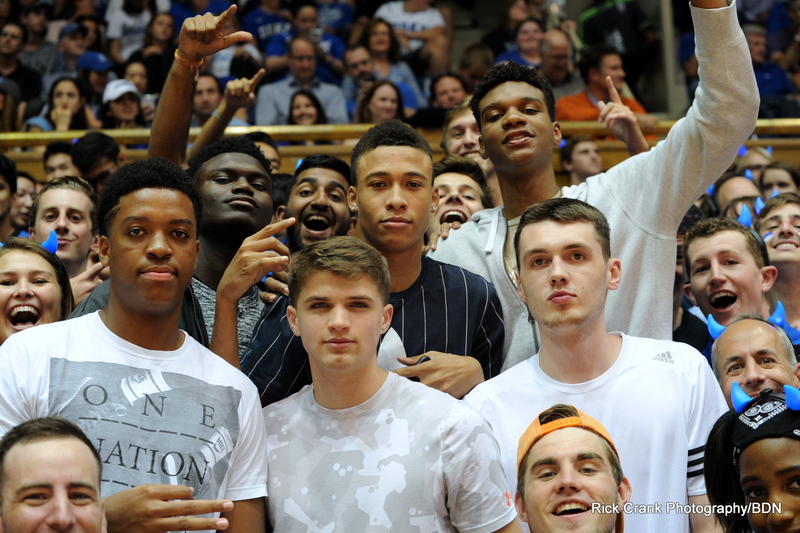 Matthew Hurt pictured right on his visit to Duke. For those who do not know, the official contact period with basketball recruits gets back underway this coming Sunday. One of the players who will get immediate attention is Rochester John Marshall forward Matthew Hurt. Hurt is a can't miss talent that has garnered the attention of the nations top coaches. And those coaches will be in-home with the talented young man and his family starting September the 9th. The Duke Blue Devils Mike Krzyzewski will be in on that date, but so will Kansas coach Bill Self and Kentucky's John Calipari. They will all have their pitches ready but his official visits to campuses have yet to be set. Memphis, Minnesota and North Carolina are also heavily involved with Hurt and will be in later in the week. It is no secret that Hurt fits the stretch four position at Duke in a most perfect way. His skill set would likely thrive in the system which changes yearly to best fit their roster. Duke is not only expected to have large roster turnover at this coming seasons end, they will for sure have starting spots opening up for elite level players. Duke has had success with players from Minnesota in the past with Tyus Jones helping lead the team to a national title. His brother Tre Jones is currently on the Duke roster as well. 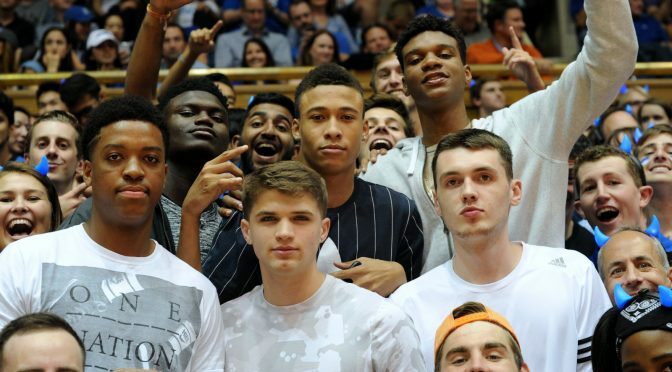 The Blue Devils do not have a commitment in the 2019 class as of yet, but I discuss that in great detail in our latest recruiting update for site members and how teams are positioning themselves with a prized recruit in Hurt. The update will go live just before noon today. Duke recently lost Bryan Antoine to Villanova before he could visit campus and that is discussed along with the targeted prospects and what to expect in the coming month.